Welcome to Bristol Bot Builders! We're a community of combat robot builders and robot wars fans in South West England. Our main place for chatting is our facebook group, come join us there. We can provide workshops for schools and clubs or bring our robots to your event or show, check out our sister site Incredibots. 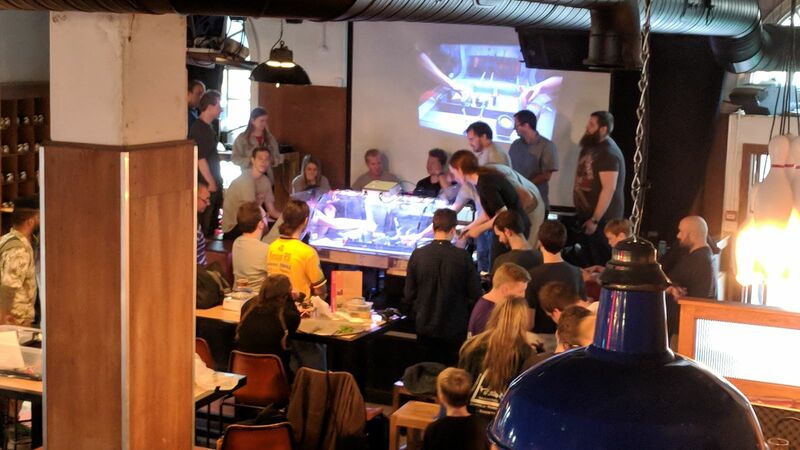 This is great for new builders - bodge a bot together in a few hours from bits of scrap then we'll be fighting them at New Bristol Brewery at 4.30pm! BBB Bodgebot XL & Ant Social at the New Bristol Brewery. Usual ant games and fights as well as a very special Bodgebots XL competition!